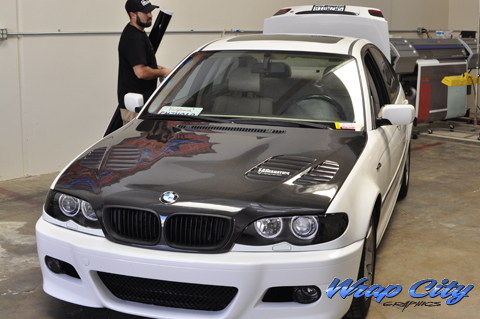 Today’s project was a white BMW 3 series with a Vorsteiner carbon fiber hood. 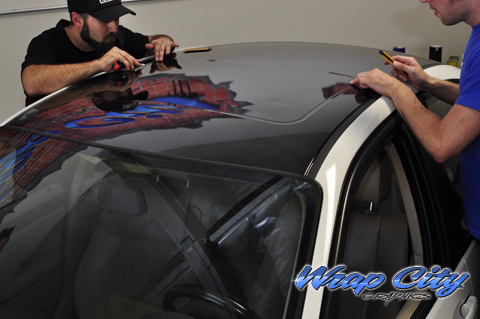 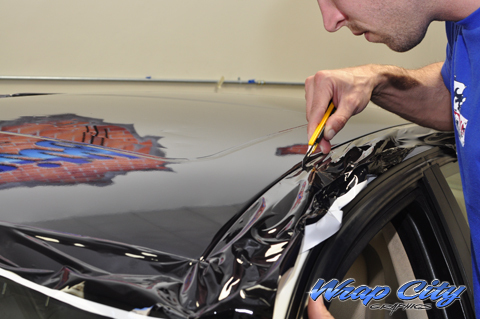 In order to tie in the black hood with the rest of the car, we wrapped the roof black with 3M Control tac V3 vinyl laminated with 3M gloss over-lam. 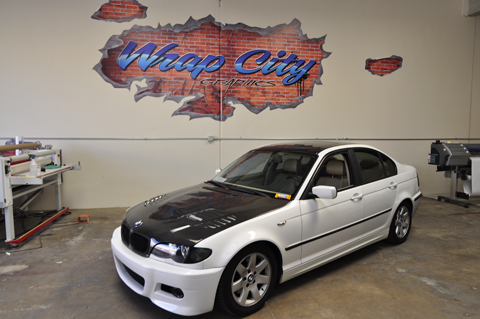 Matte black wraps are also available.